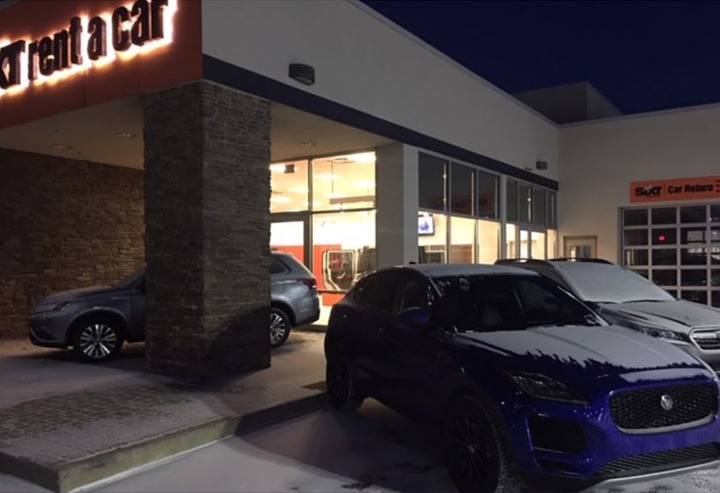 When this photo of the Sixt downtown Indianapolis location was taken at 7am on Wednesday, Jan. 30, the temperature was -7 degrees and dropping. Photo courtesy of Phil Spink. For Phil Spink, operations manager of Sixt Rent A Car/Tom Wood Rental serving Indianapolis, last week’s polar vortex that brought South Pole temperatures to the Midwest also brought once-in-a-generation challenges. On Wednesday, Jan. 30 at 7am it was -7 degrees at the Sixt downtown Indianapolis location and would drop to -12 degrees, Spink reported. Operationally, this resulted in freezing car washes, freezing washer fluid, and cars that wouldn’t start. In light of this, Spink reported that the severe cold showed how well today’s cars are engineered, as most started just fine. Spink said it was hard to convey “the feeling of -13 on your skin.” Most local customers understand the difficulties of the cold, but some renters coming in from warmer climates had a difficult time understanding the effects of the cold on a car. Even with a decrease in volume and more “no shows,” the severe conditions required more staff for prep work the night before, consisting of moving cars into places that would keep them warm and dry until the morning. For Josh Becker, regional manager at 5 Star Car Rental, an Avis and Budget licensee serving Rapid City and Sioux Falls S.D. and Bismarck N.D., the polar vortex conditions weren’t so far out of the ordinary. The automatic car wash doesn’t function below 15 degrees above zero. Washing vehicles in extremely cold temperatures could result in frozen door locks and windows and frozen washer fluids. “It’s just tough to expect (components to stay unfrozen) when the temps are in the extreme negative temps,” he said. Becker said in the extreme cold renters have filled up their gas tanks while running the car, which will triggers a check engine light. Becker makes sure employees take breaks, especially if they’re shoveling snow off sidewalks in the extreme cold. One employee recently decided working in the cold was too much and quit during a shift. “We do have to be prepared for curve balls once in a while,” he said. For Spink, the polar vortex had a silver lining: bringing the community together. “It’s been a long week but we made it through the bitter cold,” he said.